More and more corporate like blogs, forums are currently getting familiar with the term SEO , worst is going for small bloggers and website owners. They can invest $1000 for a month to look after and correct the errors: it is their one day’s advertisement revenue. But, what about the true enthusiast bloggers? Only few can cross the $100 per month from advertisement revenue. Only the thought of professional SEO service is a luxury for most of them. So, if you are like us, can not bear the cost and not sure whether you are doing everything right; here is a checklist for you. Search engine optimization is essential for online success. Without SEO , it is almost impossible to achieve a good ranking. Search engine optimization is a continuous process of both acts on site and off site optimization. Onpage Optimization – This is the notion of the layout of the website, it is the intention so the search engine crawls the website with ease-and to ensure that they can read those keywords from the pages can achieve revelant to the ranking. Offpage optimization – They focus mainly on the popularity and appreciation of a website. Many incoming links from the same industry and preferably a higher pagerank of your website will then give priority over your competitors. Create search engine friendly URLs but take into account the structure of the website. 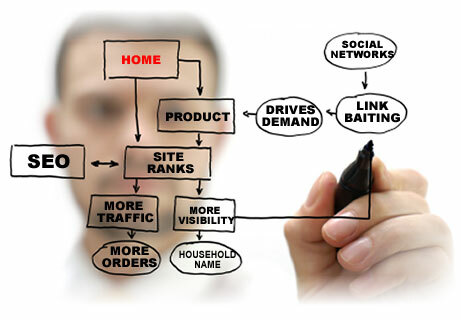 Create a sitemap . xml and put it through the Google webmaster tools. Create a good 404 page for both your visitors and Google . Follow the guidelines of the World Wide Web Consortium (W3C) validate HTML (or xHTML) with the W3C. Headlines, such as H1, H2 etc. Use image replacement as sIFR font color to display. Create links to your site from social networking , profile pages, blog posts, etc. Keyword Analysis (the discovery of interesting keywords, determining the volume of searches on those keywords and analyze the quantity, quality and authority of competing pages for those keywords). Generally you can say that the best optimization for a website to deliver quality content is combined with a sound structure. Search engines are indeed looking for the best content for search users, and a good content is therefore a necessity. Keyword density is often taken into account, title tag and the proper use of headers. By right (X) HTML is used to weight to text. So considering text between tags within websites <h1> heavier than text in paragraph – <p> – tags. Many companies often spend money on advertising, but pay too little work on the content of their website. Who wants to be found on some good products will in the first place as much as possible to tell and ensure that this information can be properly indexed. It is also important to the website in a proper way to build a good title. The meta description tag by search engines like Google, Yahoo and Bing. This meta tag is visible is the list of results. By a better description to each page (description) before someone will click on your listing. That way you have an influence on CTR. The death of the keyword metatag has already been took place eight years ago, so this is an obsolete story. Today, we are writing about a bunch of Firefox extensions for SEO and web performance. You may know some of them. We hope these notes will be helpful. Most of these extensions are tools for monitoring and analytical SEO. Cite this article as: Abhishek Ghosh, "SEO checklist to get better ranking for your website," in The Customize Windows, April 2, 2011, April 24, 2019, https://thecustomizewindows.com/2011/04/seo-checklist-to-get-better-ranking-for-your-website/.